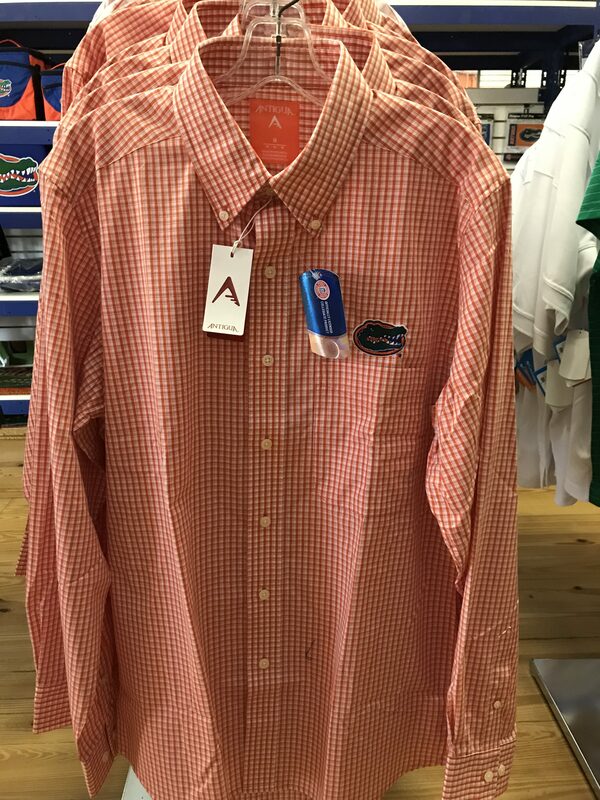 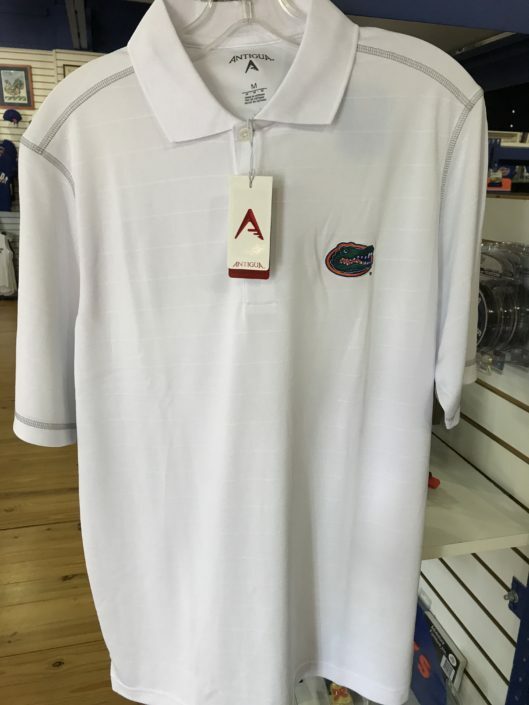 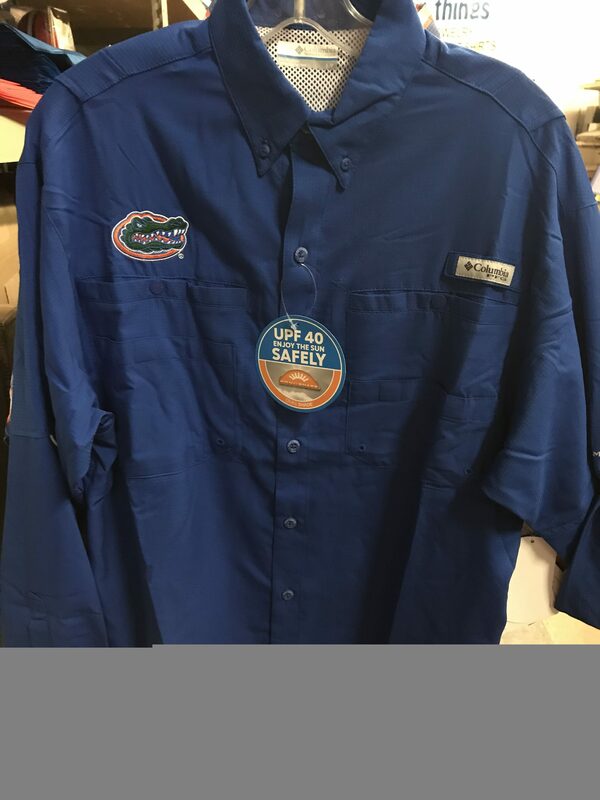 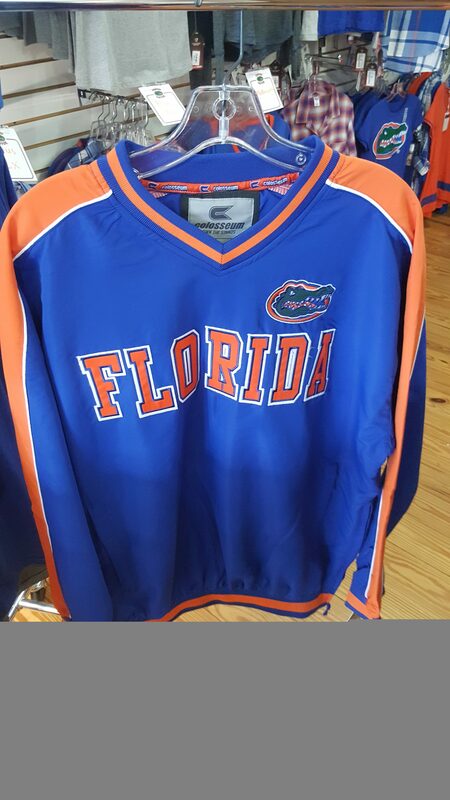 Florida Gators short sleeve polo. 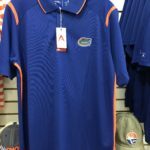 Florida Gators short sleeve polo. 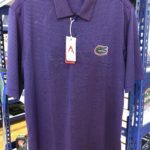 100% polyester pique textured tonal stripe short sleeve polo by Antigua. 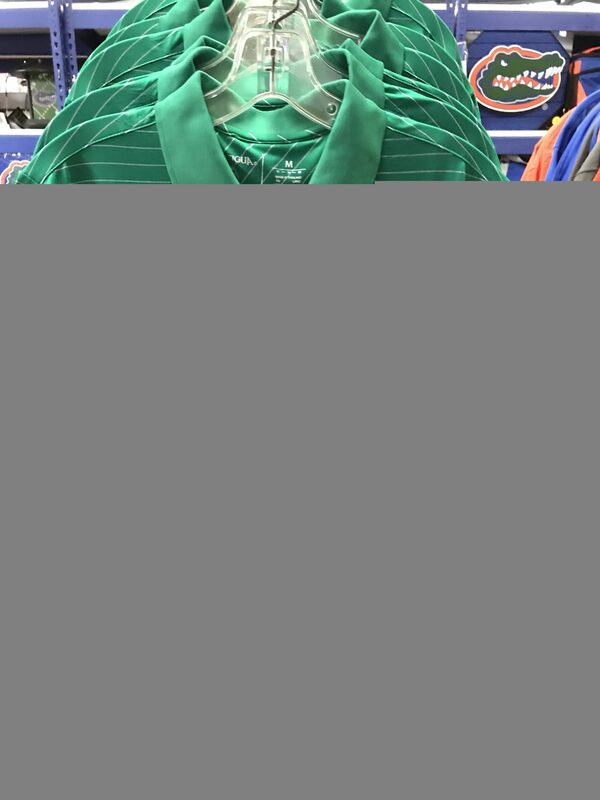 Three button placket, flat knit collar, open cuffs and contrast coverstitch at cuff, armhole and shoulder. 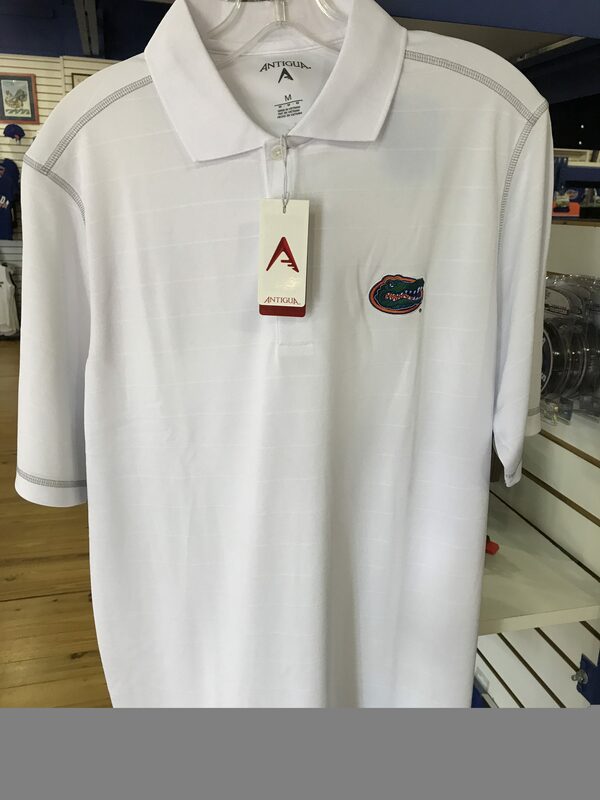 Available in White with silver stitching.